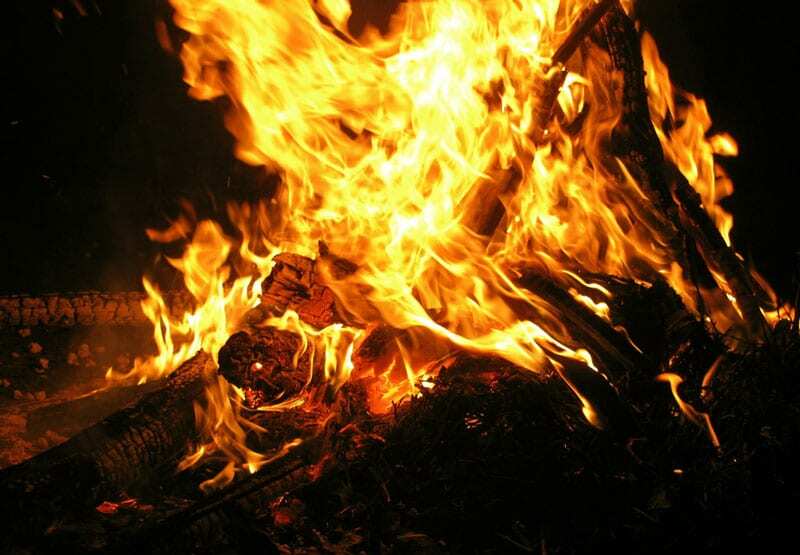 A lively harvest festival, Lohri is celebrated with great panache and revelry all over Punjab, in the month of January. People celebrate this festival by organising huge bonfires, which symbolise fertility and ignite warmth among community members. People move in circles around the bonfire, singing songs and offering popcorns, peanuts and other symbols of fertility into the fire. 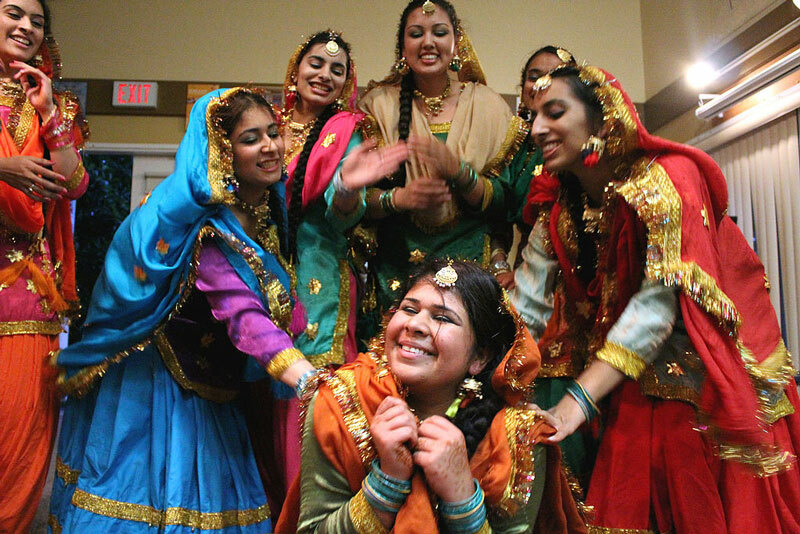 Lohri is a beautiful festival of camaraderie and warmth in Punjab. The advent of spring is celebrated through the colourful festival of Basant Panchami. 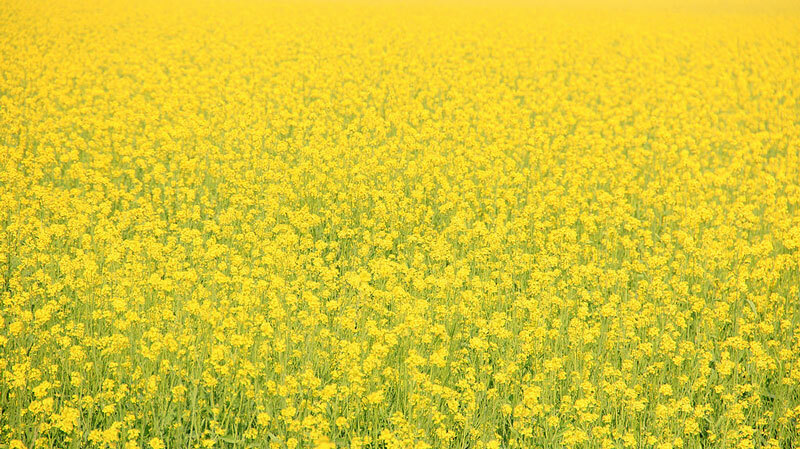 A golden sea of mustard flowers floods the fields of Punjab, acting as the perfect backdrop for Basant Panchami. The state of Punjab is full of people dressed in bright yellow, symbolic of the mustard blooms. People also fly kites to celebrate this festival and the entire sky is full of colourful and liberating kites. Hola Mohalla is a three-day festival in Punjab, following the festival of colours, Holi. This festival is held at Anandpur Sahib and is a tradition started all the way in 1700s by Guru Gobind Singh. 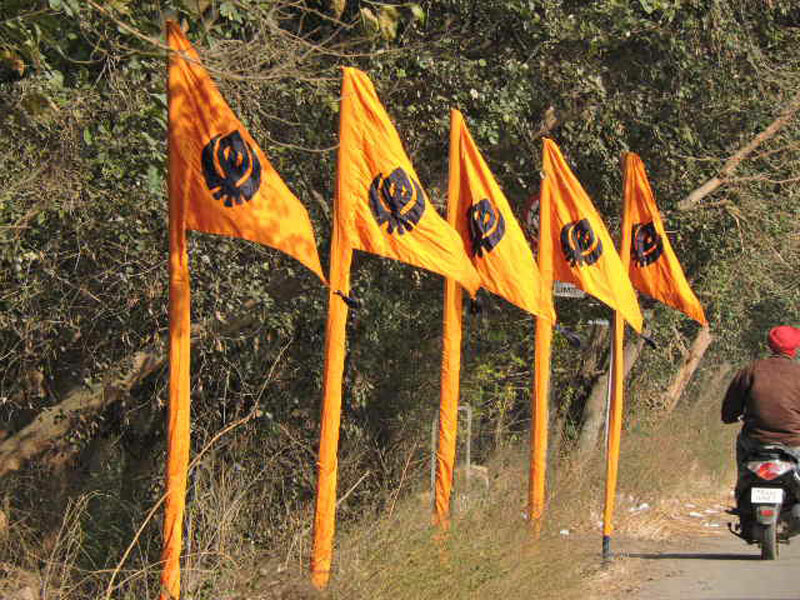 Thousands of Sikhs gather for this festival, as it is a culturally important occasion for them. The festival is marked by a display of many great feats, such as sword fencing, archery and horse riding. The festival culminates with a procession, wherein the panj pyaaras are adorned with traditional attires in blue and saffron colour. 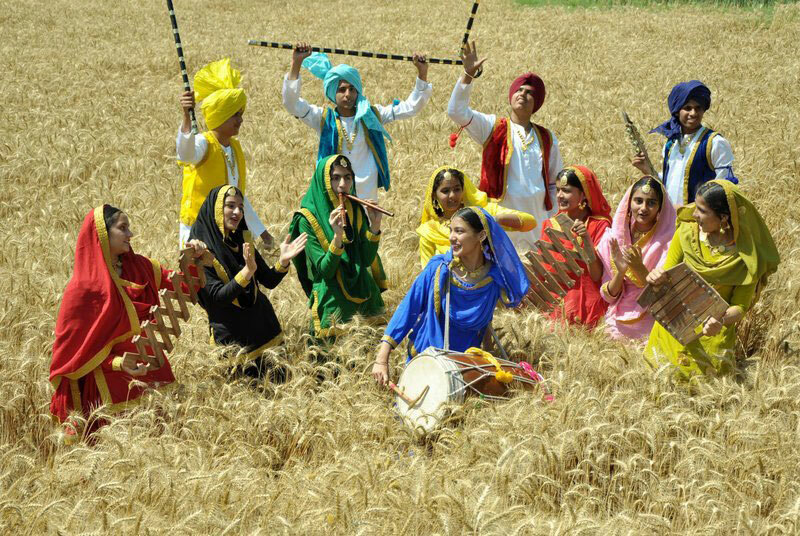 Baisakhi is both a harvest as well as a historically significant festival in Punjab. The day is remembered as the martyrdom day of Guru Teg Bahadur. The festival is also an important harvest festival for the winter crop, rabi. All over Punjab, various fairs and processions are held, that invite everyone to join in the celebration. The entire state is lit up in the celebration of Baisakhi, producing a state of happiness in people. 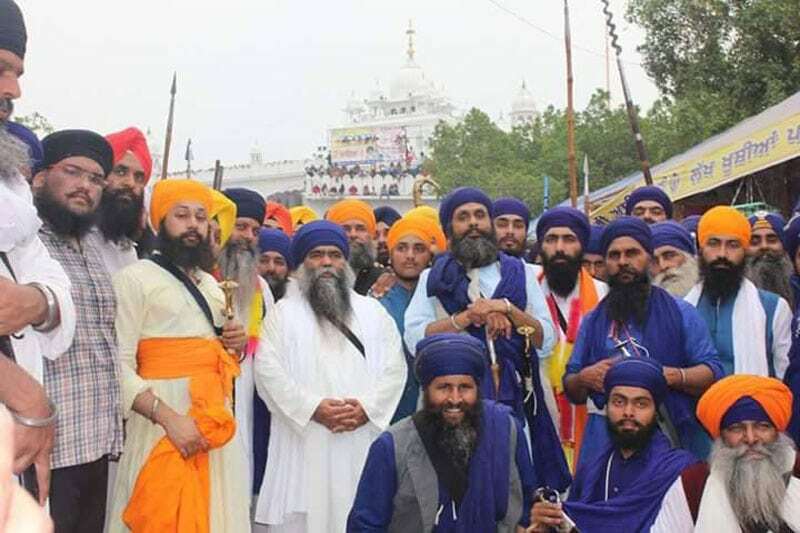 The most important festival is the Sikh community, the various Gurupurabs are a matter of holiness, spirituality and jubilance for the Sikhs. They celebrate the birth anniversaries or martyrdoms of the highly-revered Sikh Gurus. The festival is begun and culminated by a religious procession, in which holy hymns are chanted. The festival is marked by the recital of the Guru Granth Sahib, the holy book of the Sikhs. People visit the gurdwaras, seek blessings, offer prayers and relish on the sweet and holy langar. A lively and refreshing dance festival, mostly for women, Teeyan is celebrated in the blooming season of spring. The upbeat nature feeds the rhythm in these women. The traditional folk dance of Punjab, Gidda is performed in full force during this festival, which is a magnificent sight to behold. The energising dance is bound to leave you blown away for days. Also, known as Bhai Dooj, Tikka is a festival celebrating the bond of brothers and sisters. Herein, the sister puts a red symbol on the forehead of the brother, called tikka which is meant for the long life of his brother. The brother is turn gives gifts as a token of his love and affection towards his sister. Everyone dresses up in new clothes and feels a loving sense of siblinghood in them. A numerically small, but symbolically huge fair is held in the Chappar district of Ludhiana. The festival celebrates the supposed Lord of snakes, who is believed to pacify the venom of snakes and also bless families with children, if they are seeking them. The fair is a cultural phenomenon where thousands of believers participate annually. Commemorating the martyred sons of Guru Gobind Singh, the Joe Mela is held in Fatehgarh Sahib. The festival is a highly revered one, that is attended by many religious followers, who are moved by a feeling of belongingness to their community. 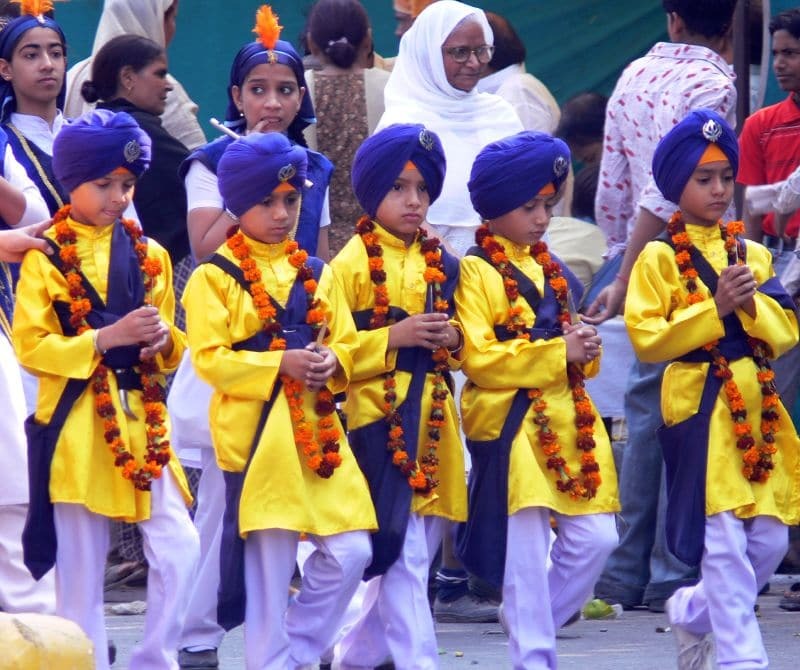 The festival is marked by a recital of the holy book of Sikhs, followed by a procession on the streets. Remembering an important saint-musician, Swami Haribhallabh, this fair is held annually near his samadhi. The music maestro is remembered through a gallant display of soothing musical notes and divine voices. Many classical musicians attend the festival and offer their voices to the celebration of the great saint. Be sure to experience the beauty of Punjab, through these lively festivals the next time you visit this culturally rich state.